The logistics of a destination wedding are often hard to execute or even justify. It is often difficult to imagine celebrating without close loved ones who are unable to travel for health or financial reasons. 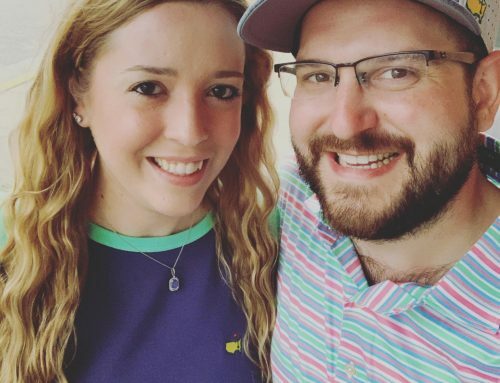 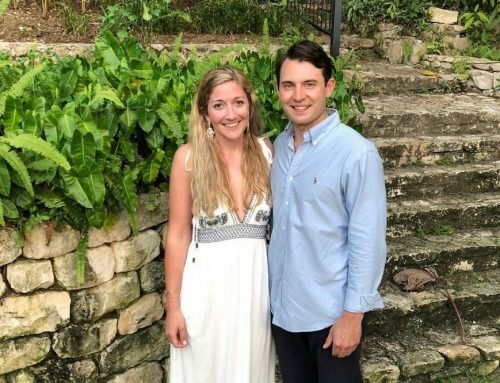 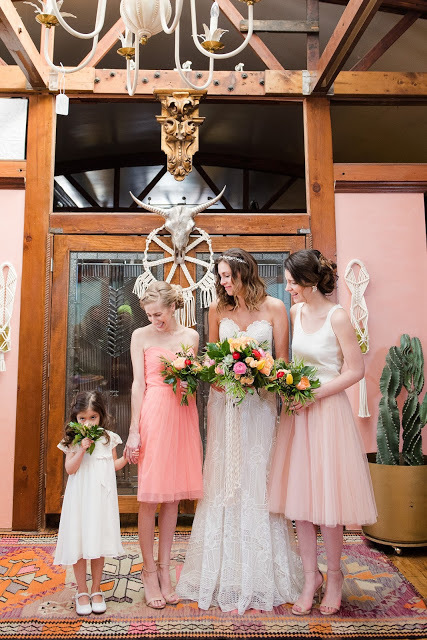 You’d love to take photos amidst cacti and air plants, but your grandmother is incapable of flying and your sister might not be able to afford the time off work. 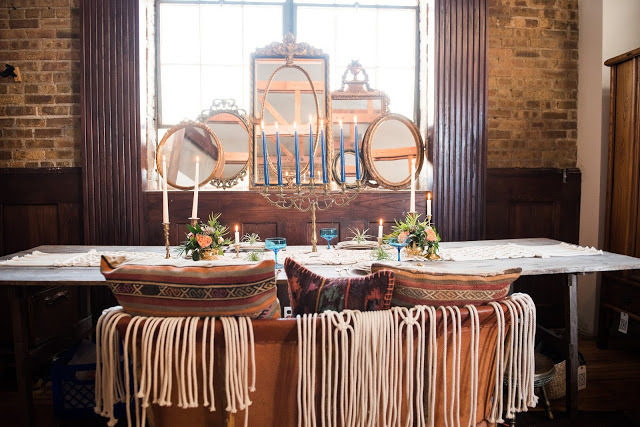 So often the first major decision in the planning process, the location, is a sacrifice. 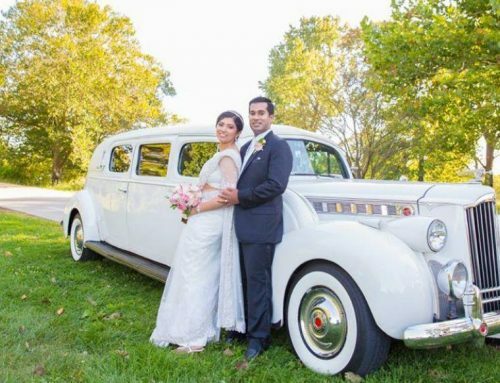 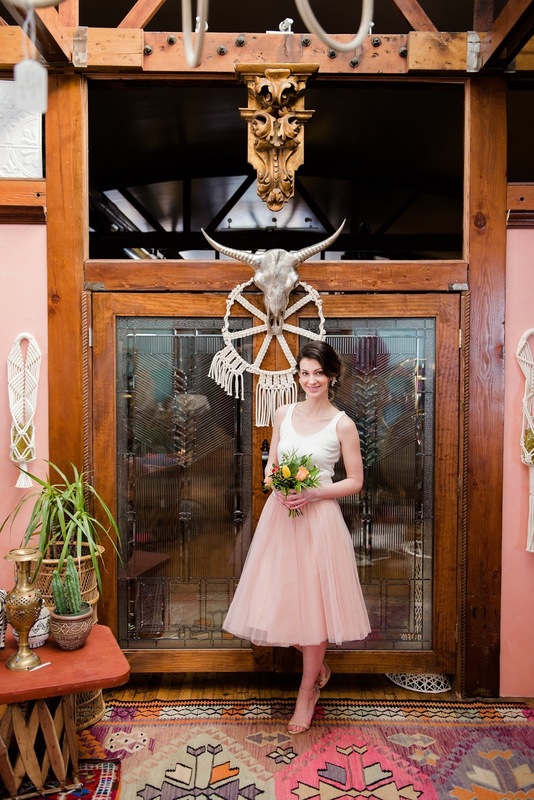 But recreating the Mojave desert wedding in the middle of winter in Chicago or rural Suburbia is possible! Find a blank canvas for a venue. 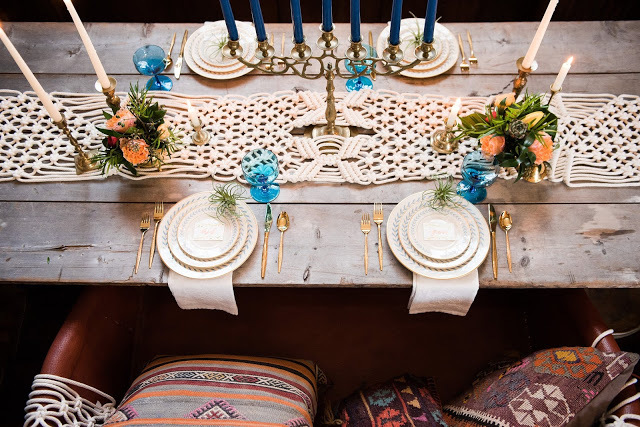 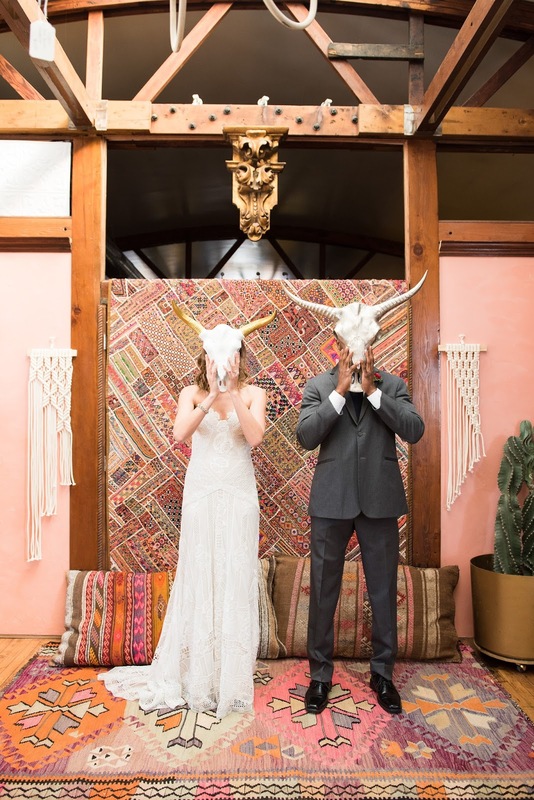 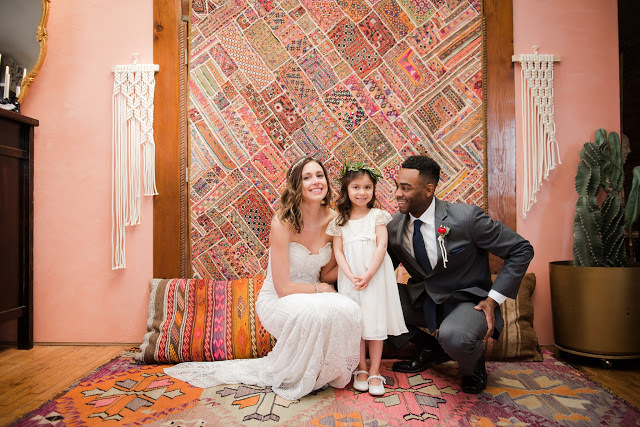 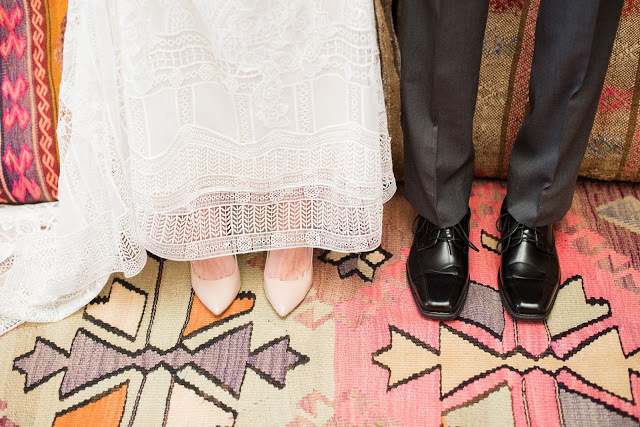 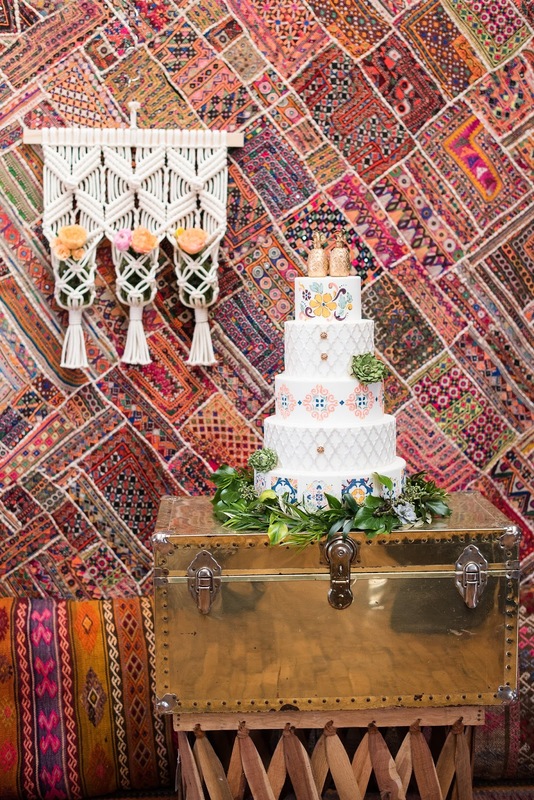 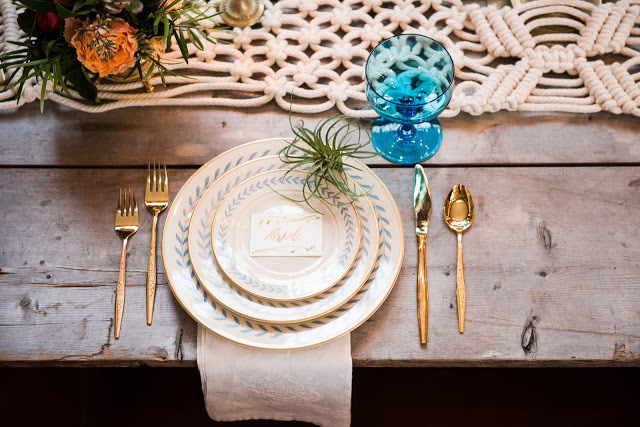 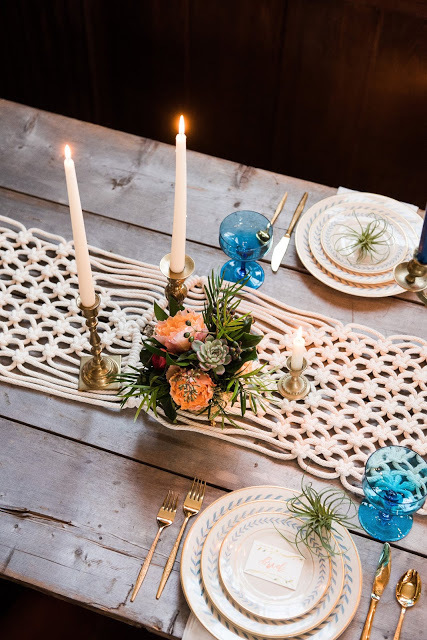 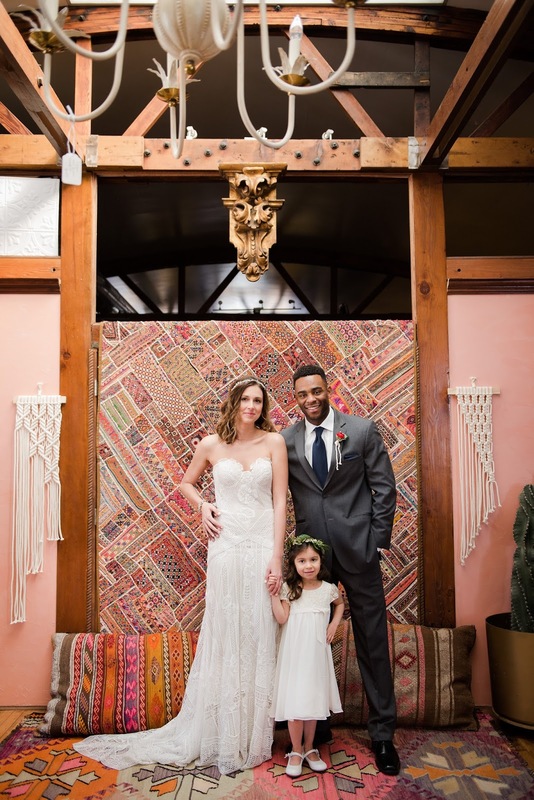 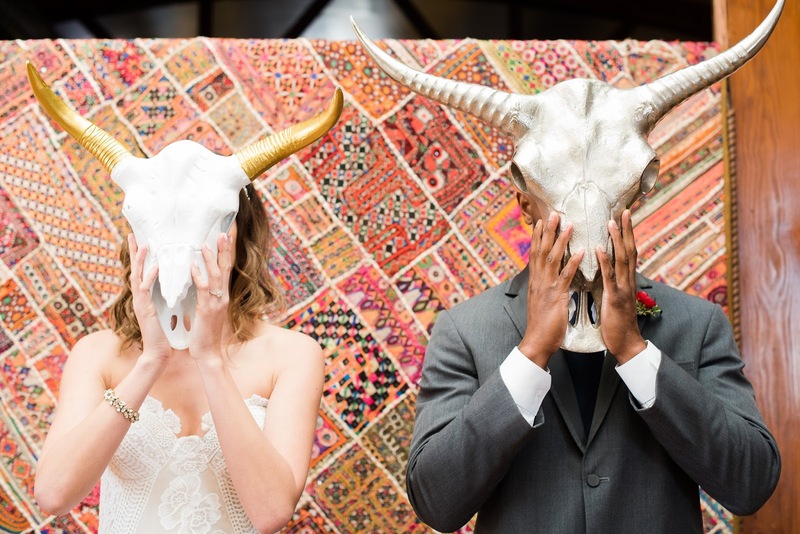 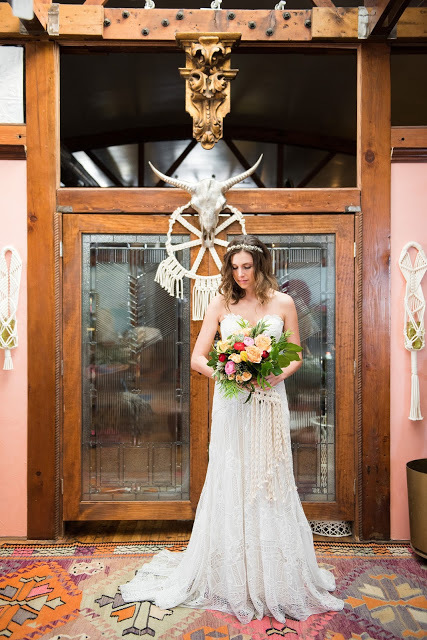 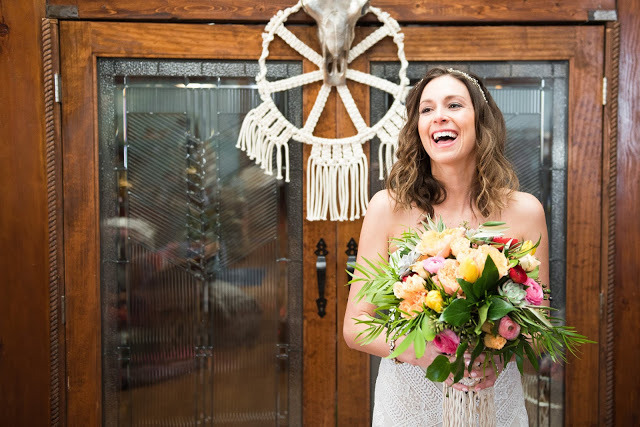 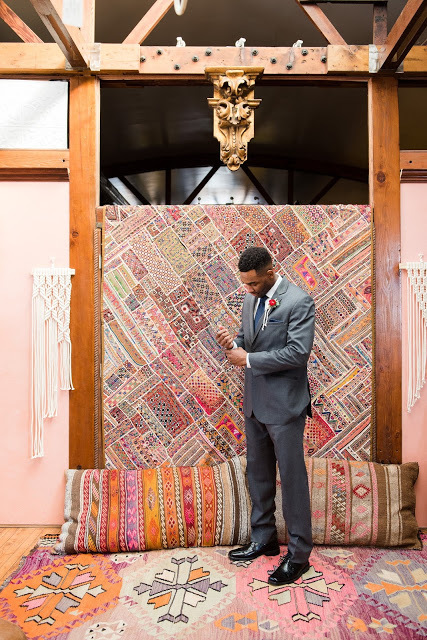 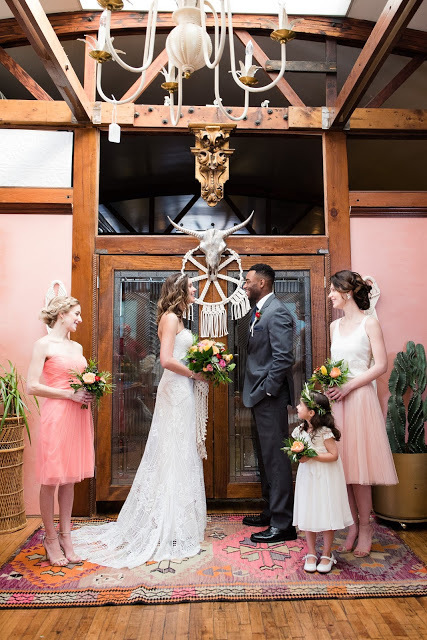 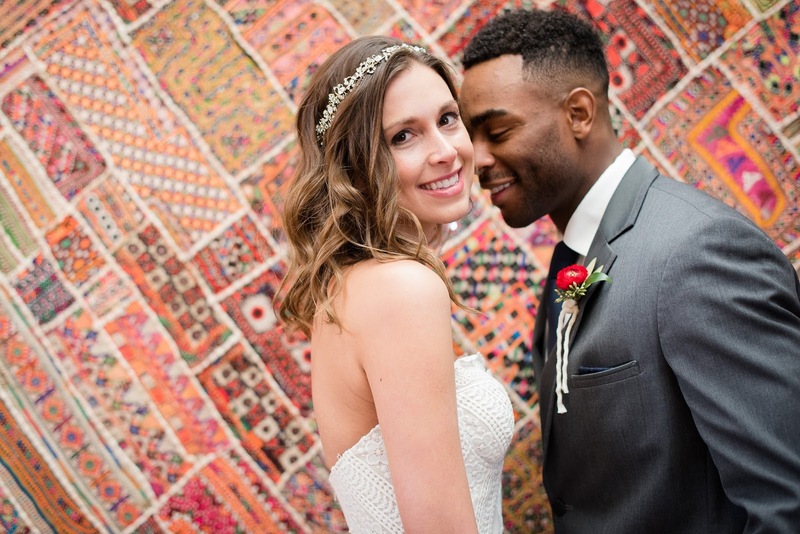 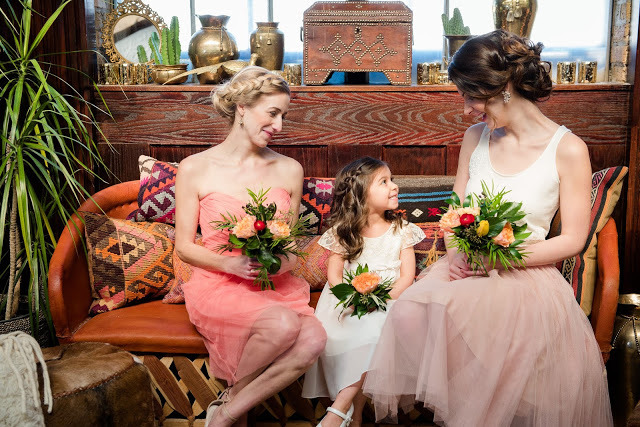 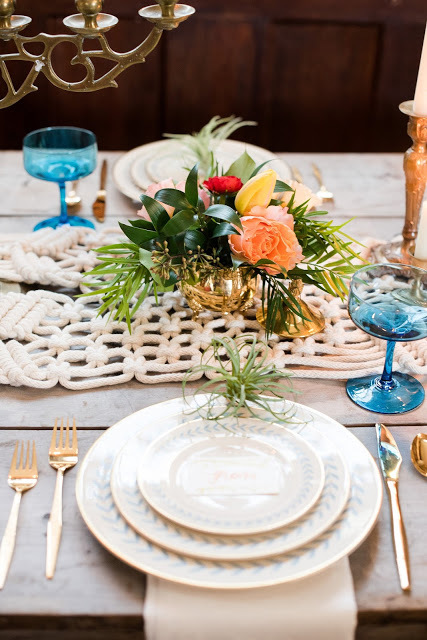 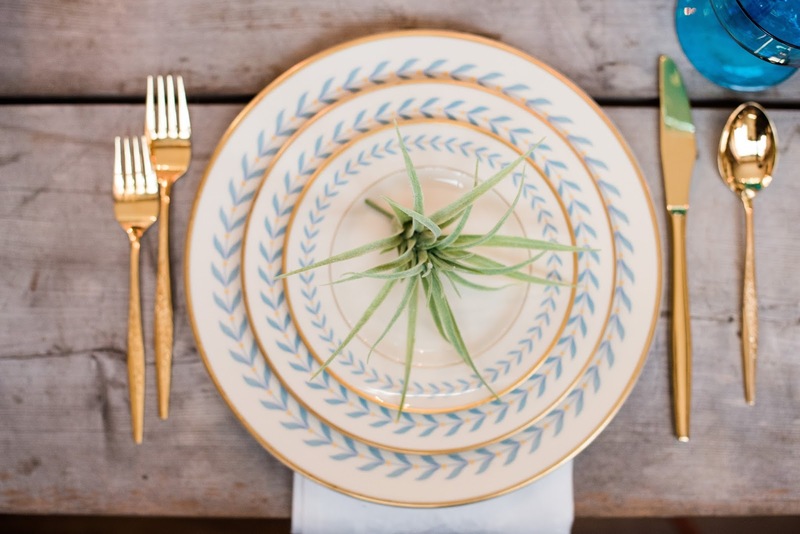 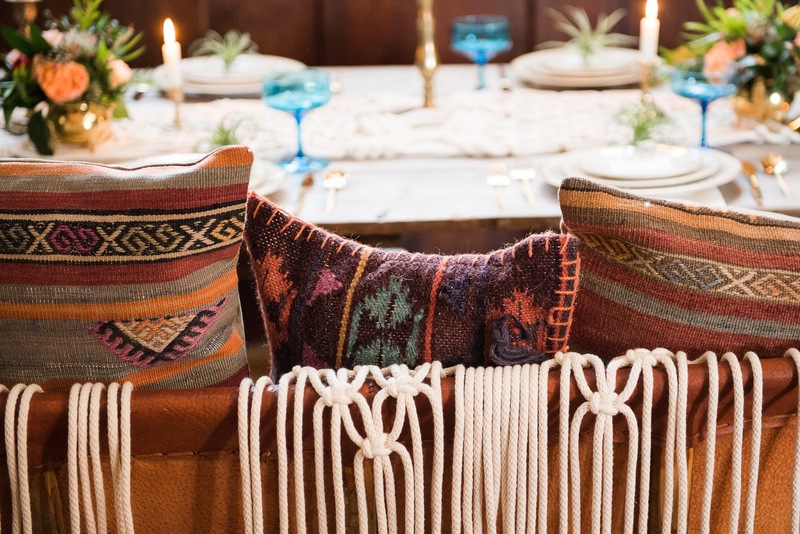 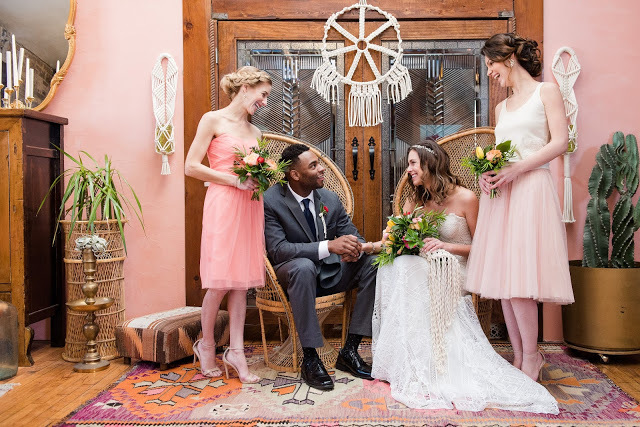 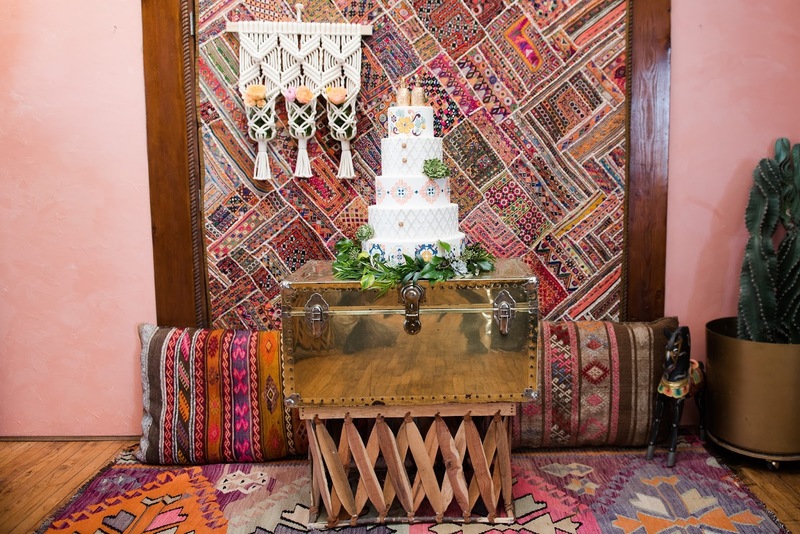 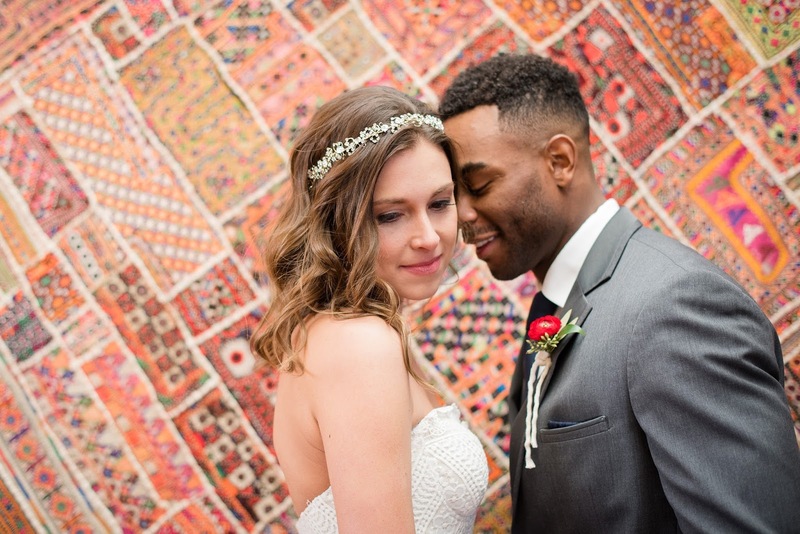 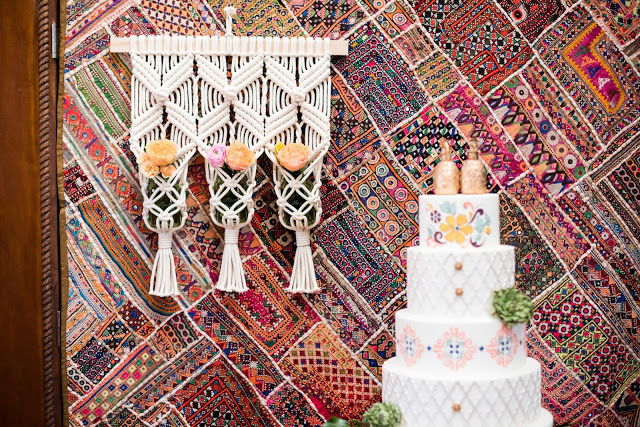 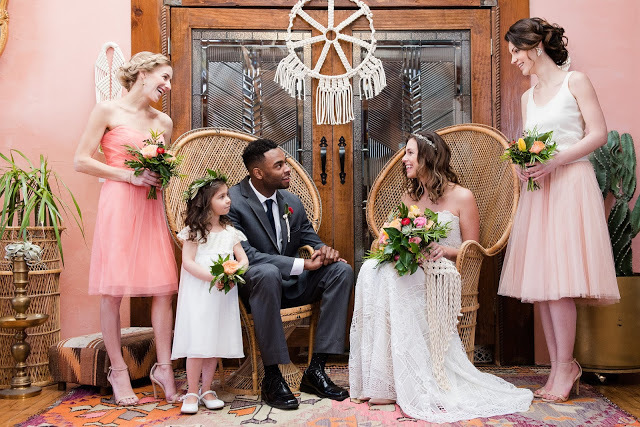 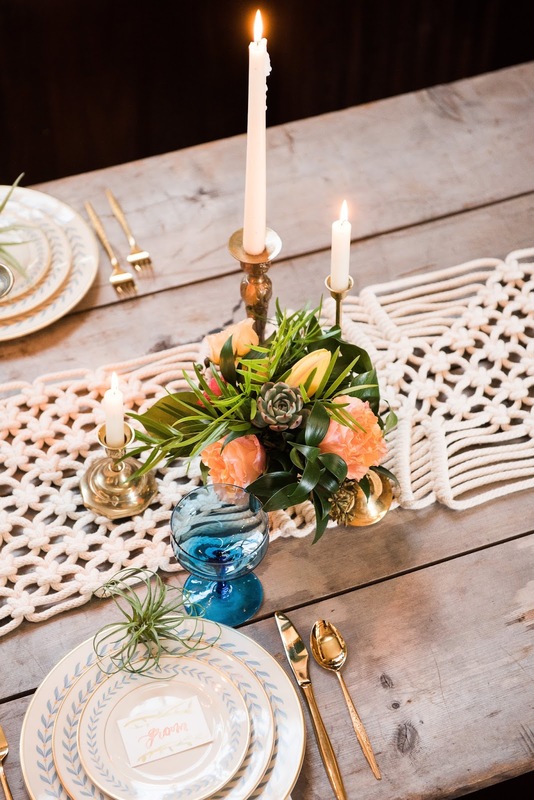 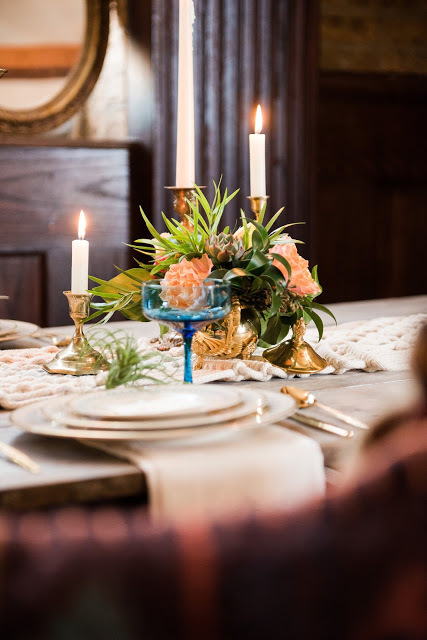 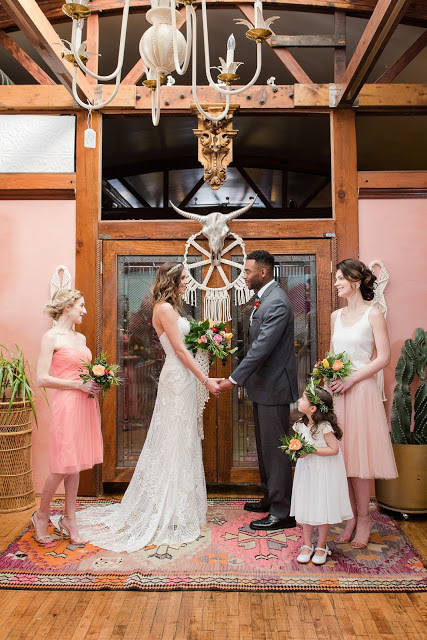 It can be daunting to think you’d be responsible for bringing everything into the space, but it will be easier to create the look you want for a Bohemian desert wedding. 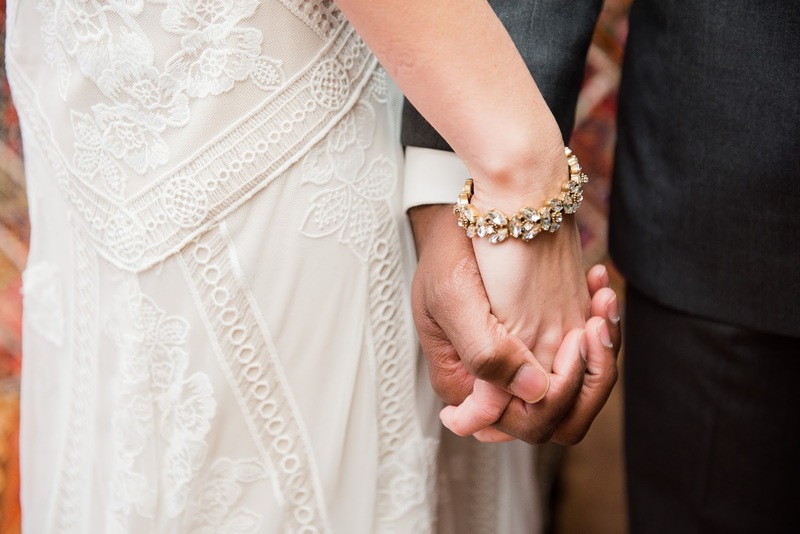 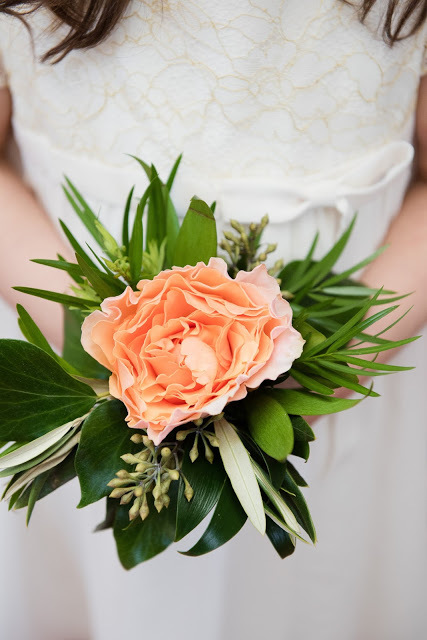 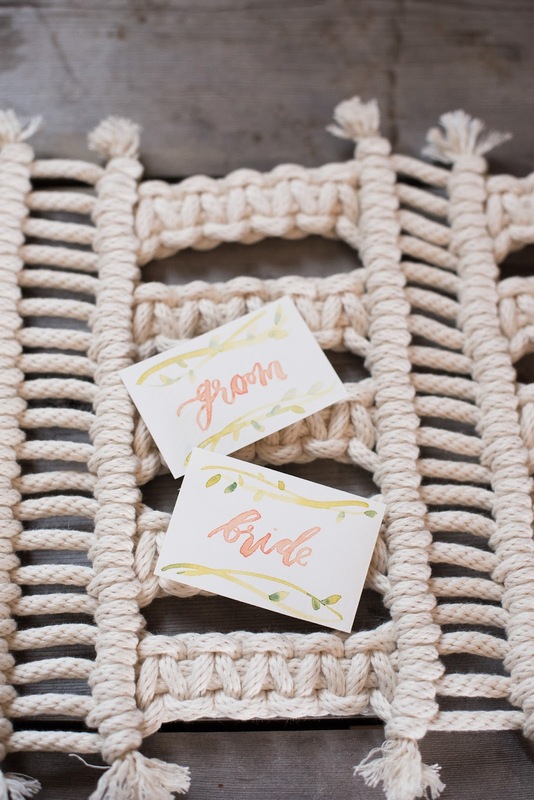 Find one or two vendors outside the wedding world. 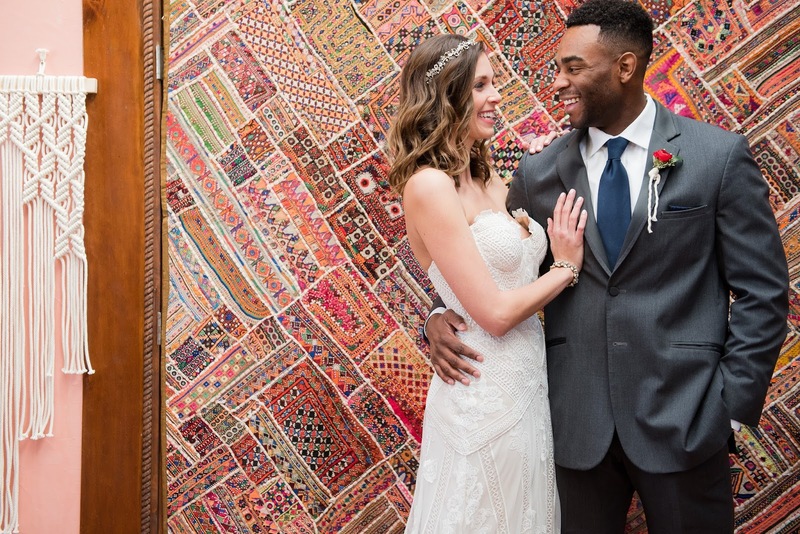 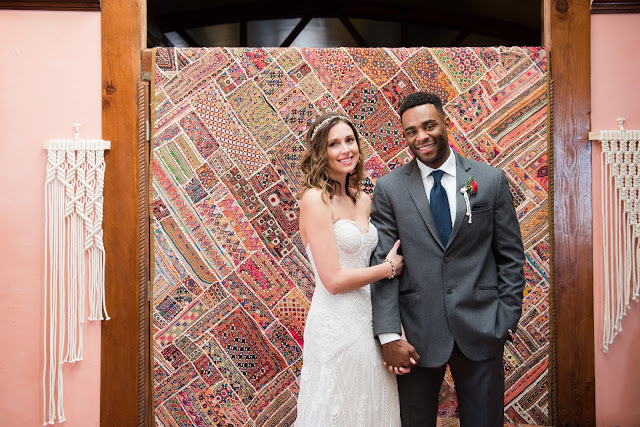 We were so inspired by Meredith’s rugs at Canary Lane. Choosing one or two pieces to hang as back drops will make a huge impact. 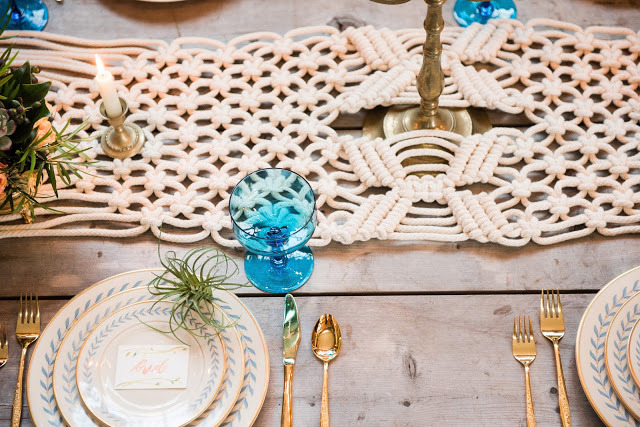 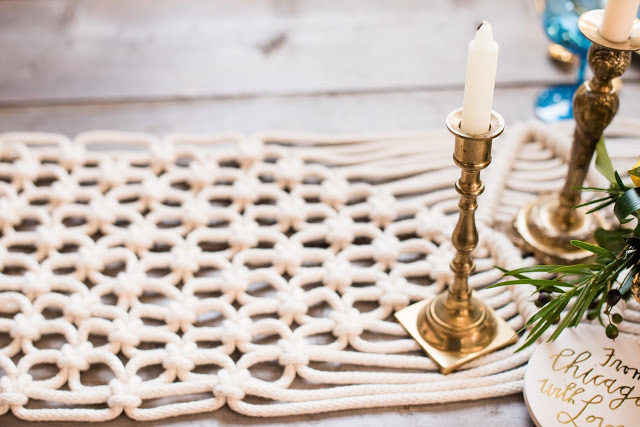 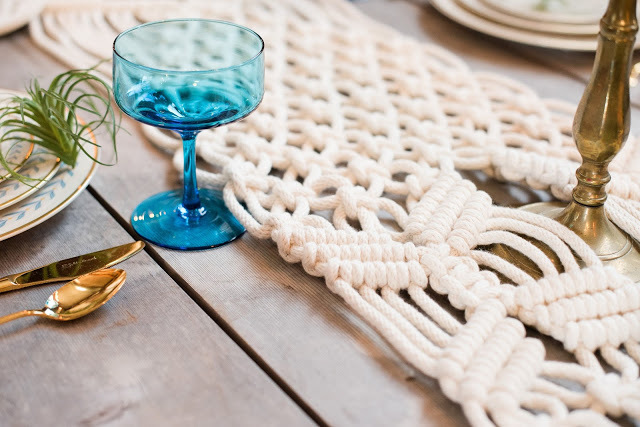 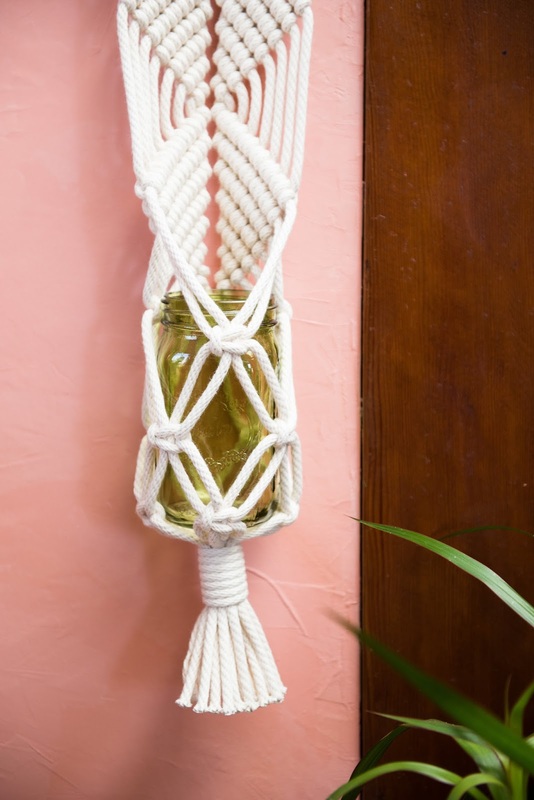 Pairing rugs with stunning macrame pieces helped complete the overall aesthetic we were going for. Help your maids choose their own look. 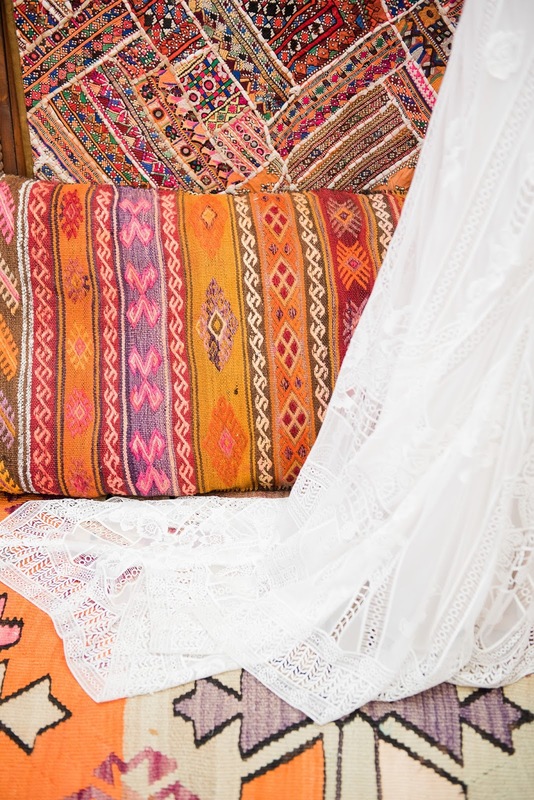 There is nothing more Bohemian than a mix-and-match maids look, but be sure to help your maids find looks that compliment the color scheme and style you are creating. 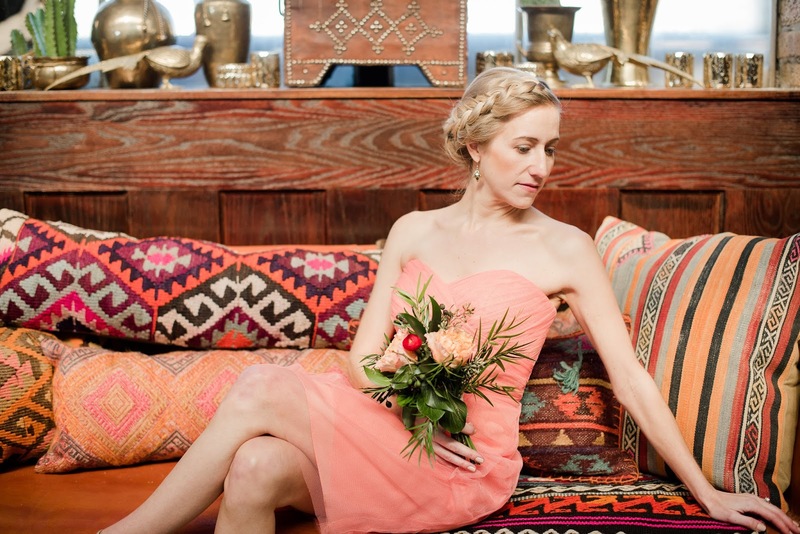 Alyssa of CoChic styling executed our bohemian Mojave look with bright colors and a more casual separate look. Add braids and airbrushing. 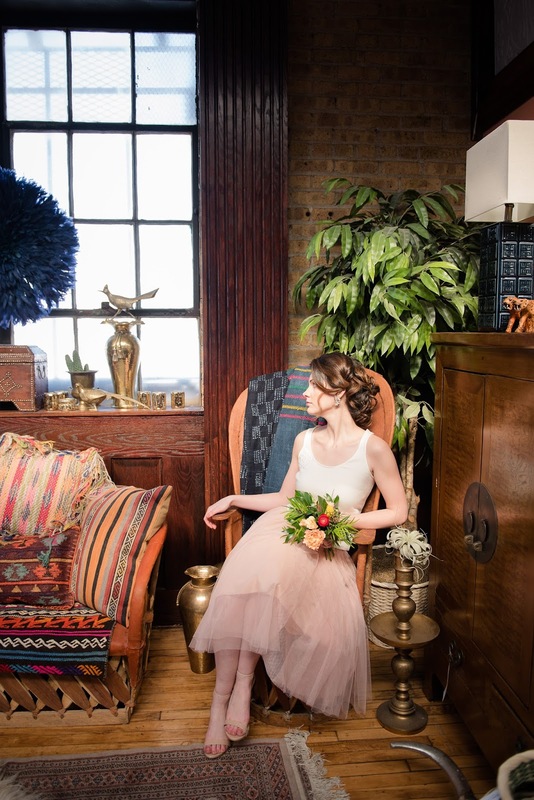 Soft braided up-dos by Megan of Hollibeauty and effortless makeup by Jacqueline Gamache Beauty ensured everyone looked polished, but not overdone. 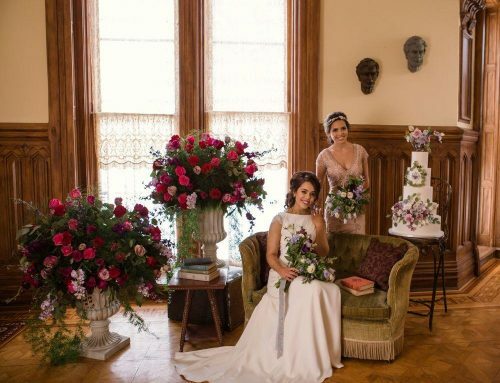 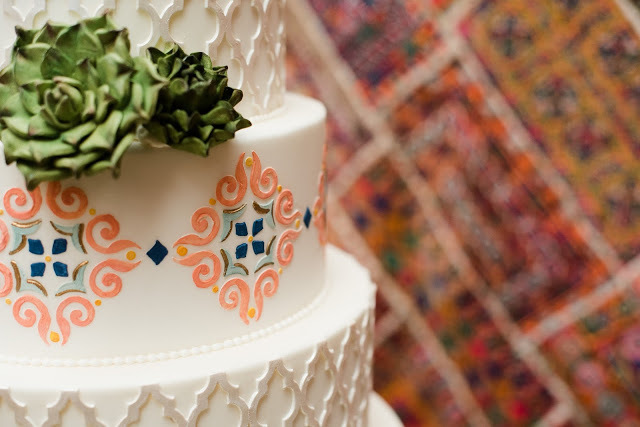 Lastly, the details – like flowers, stationery, vintage table settings and our cake – help to tie everything together. 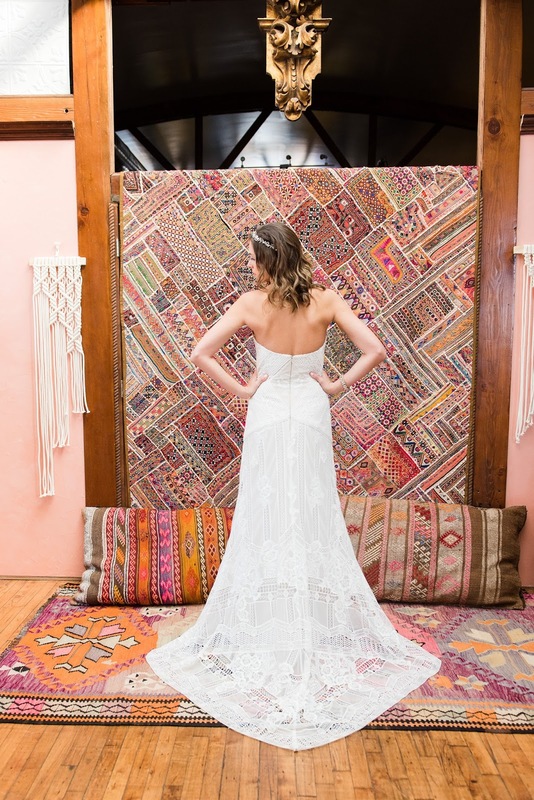 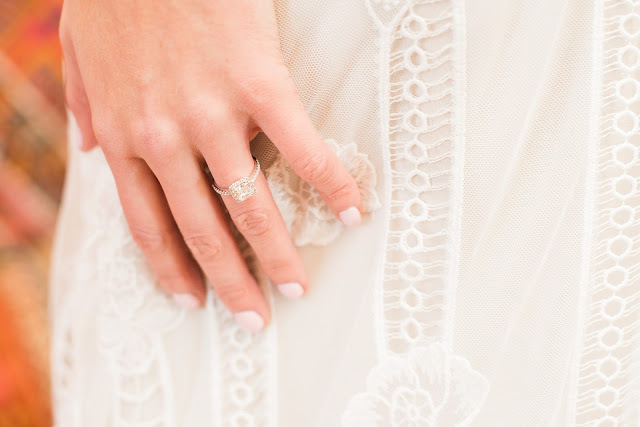 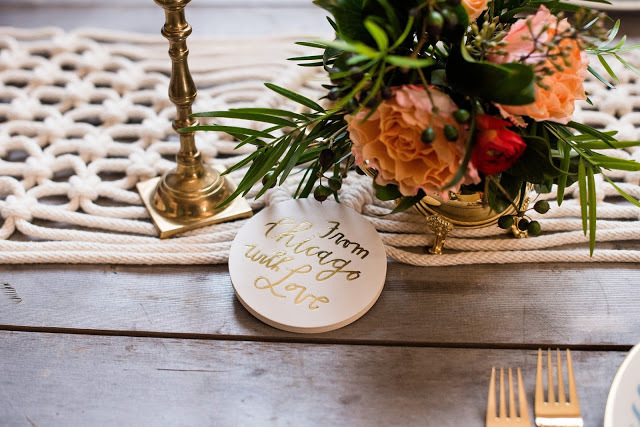 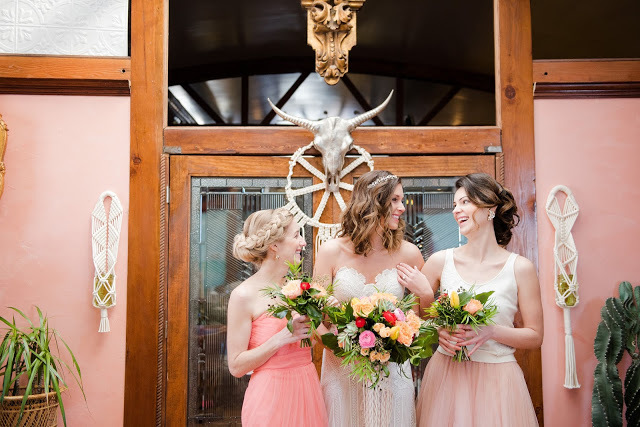 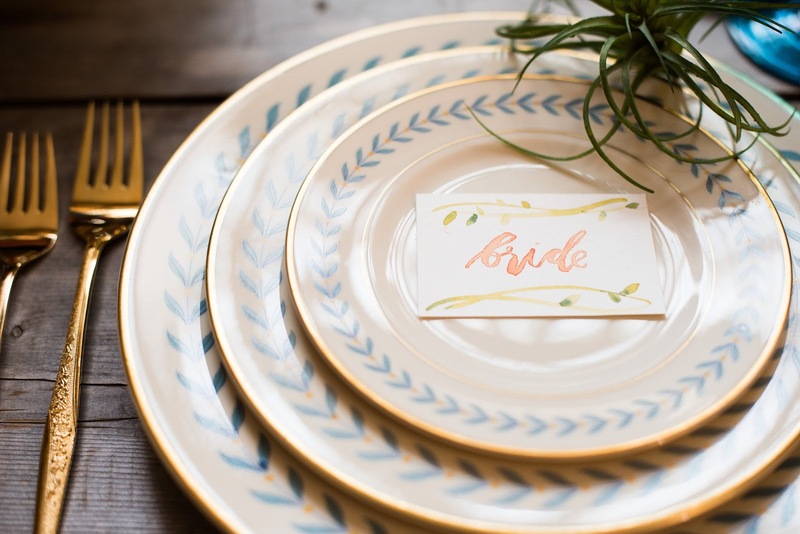 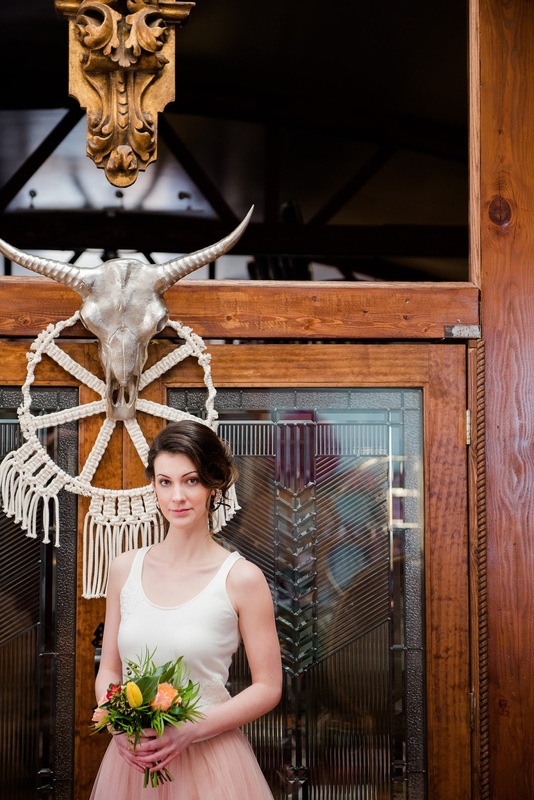 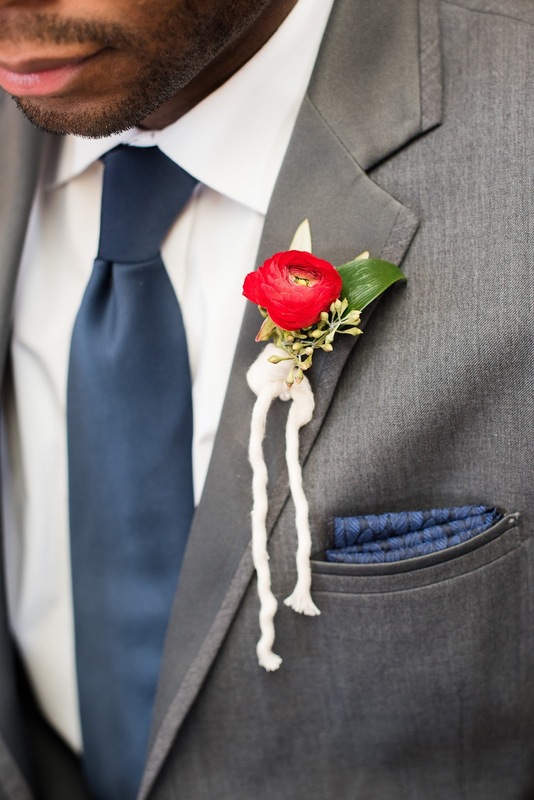 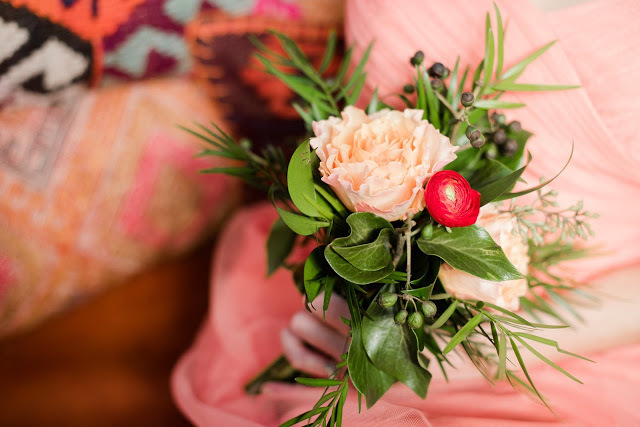 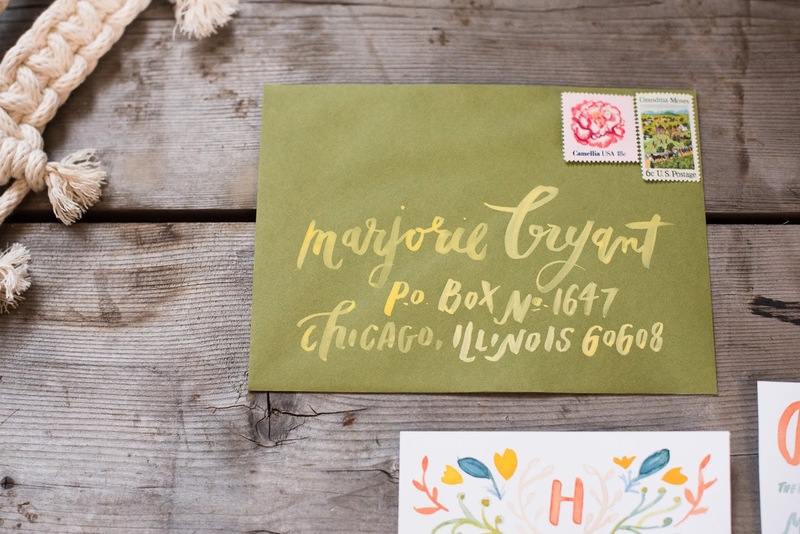 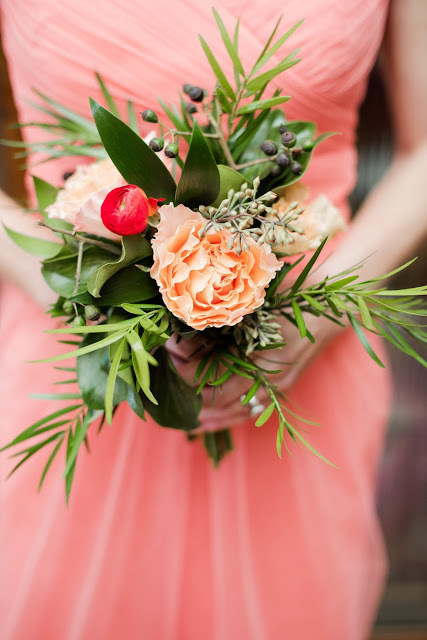 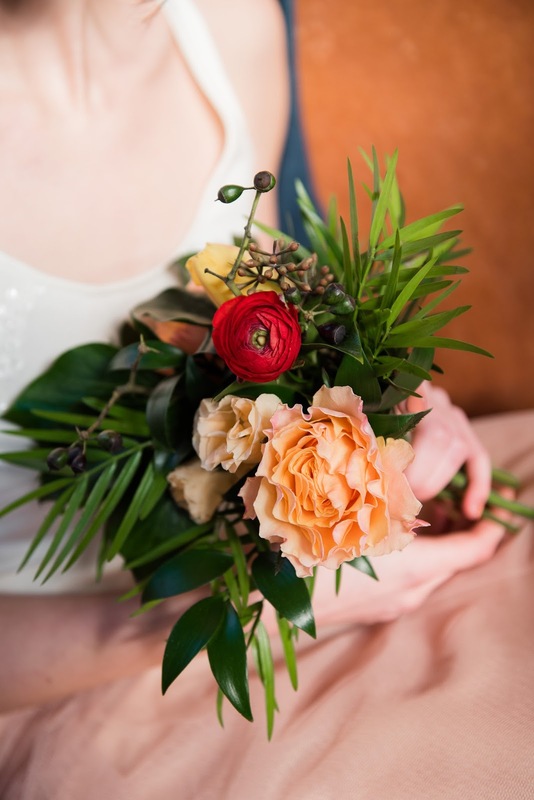 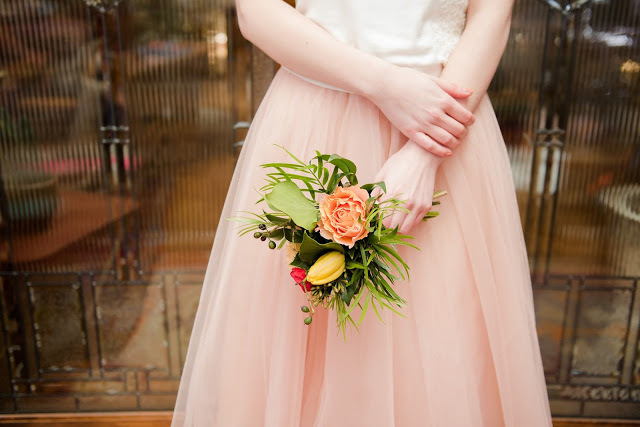 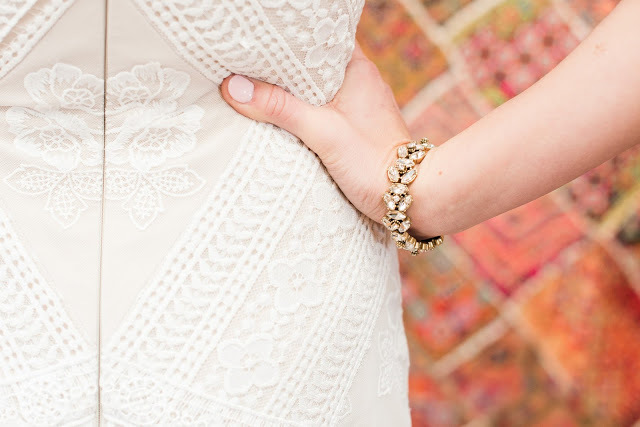 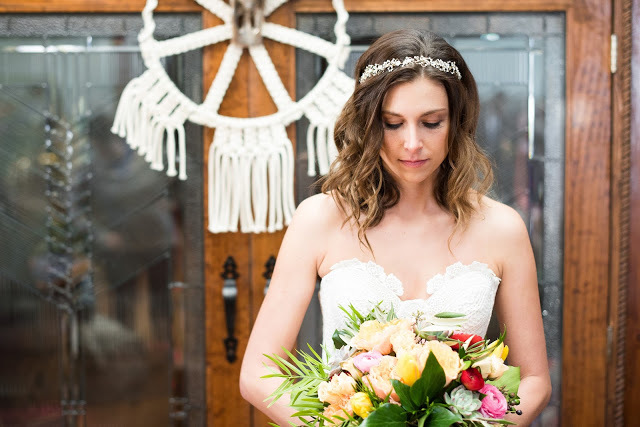 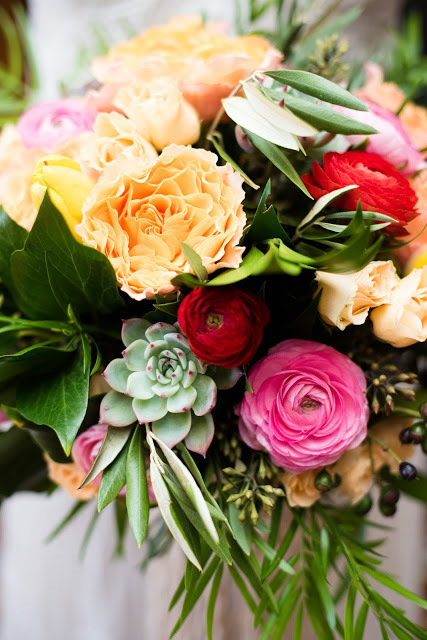 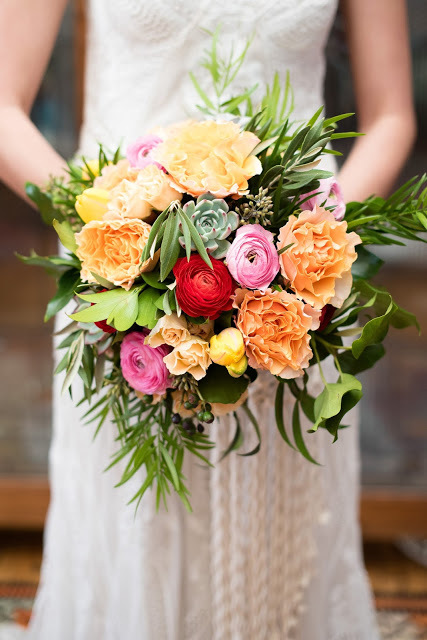 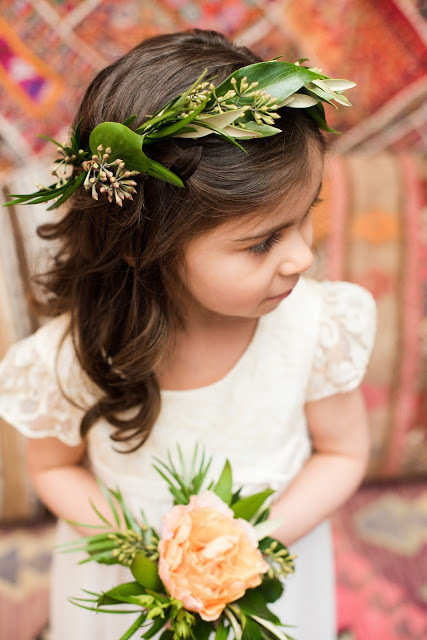 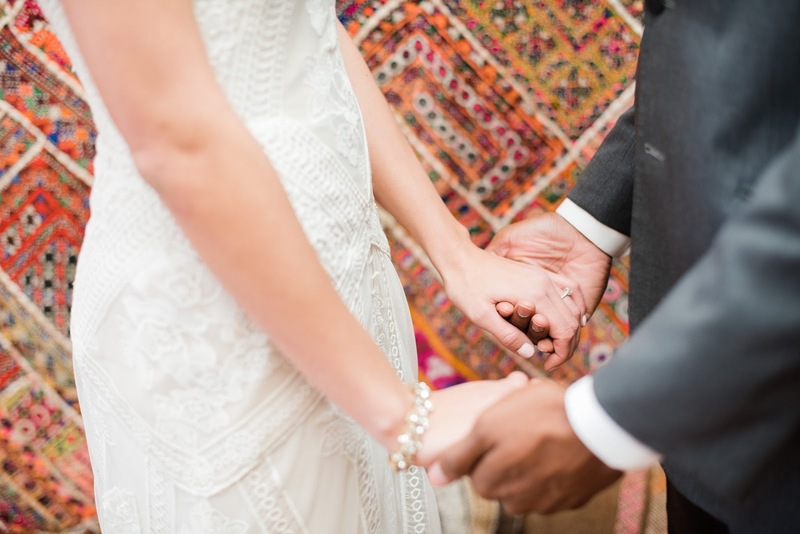 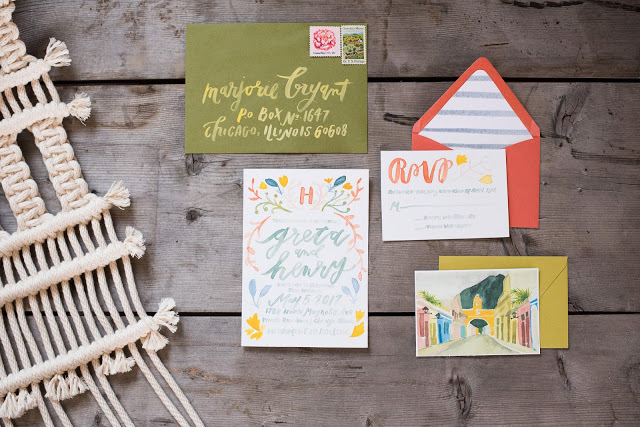 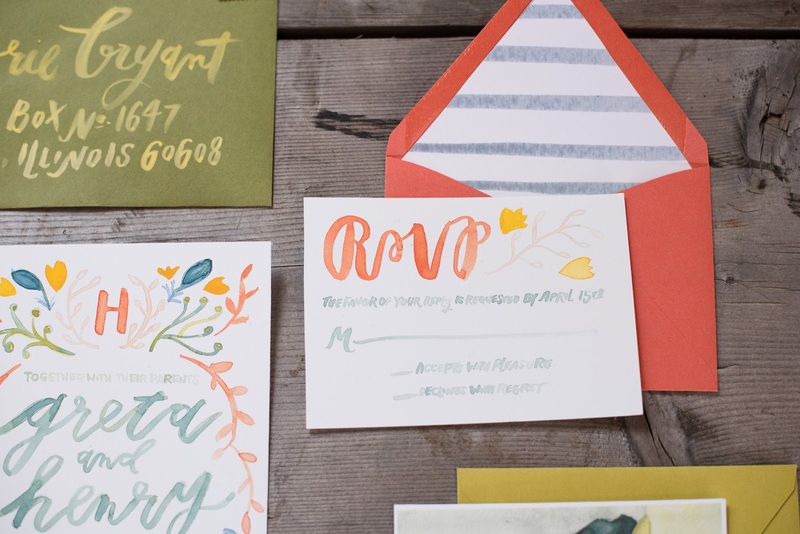 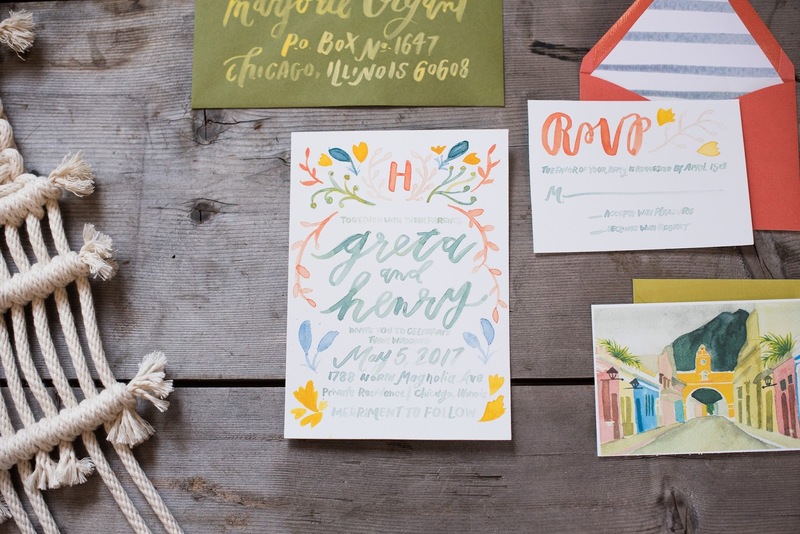 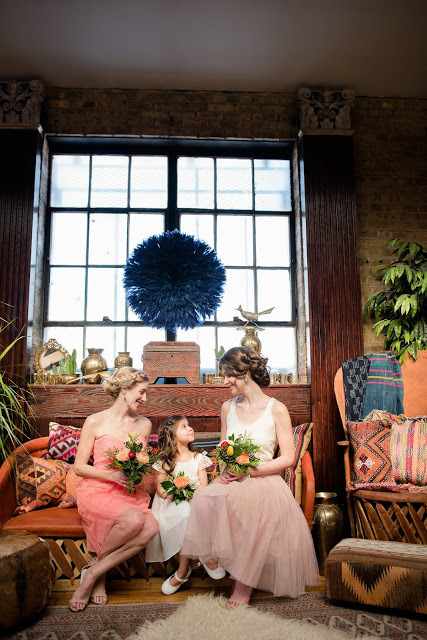 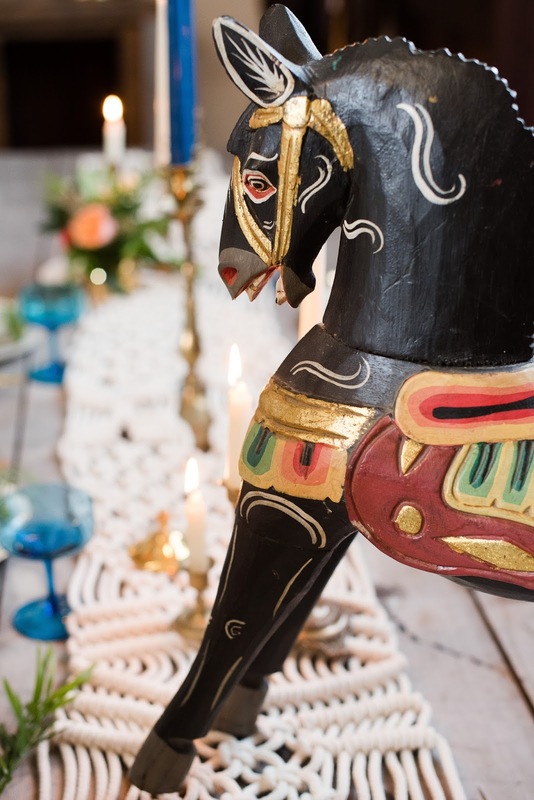 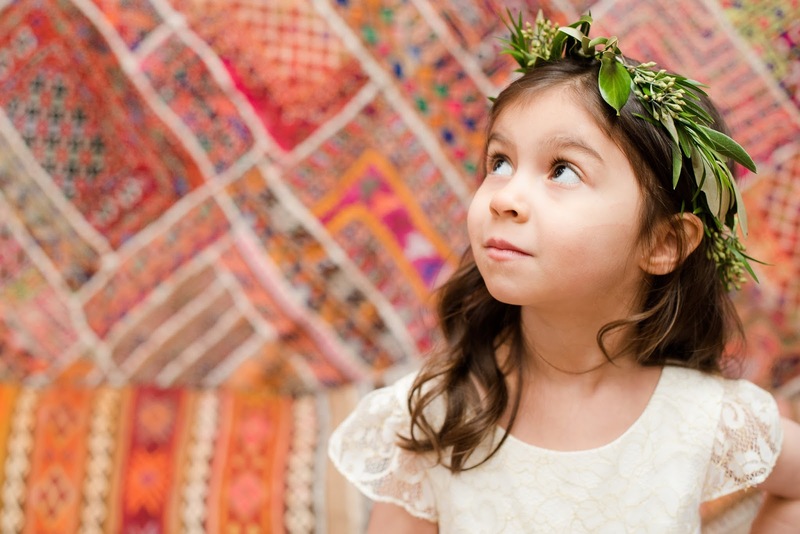 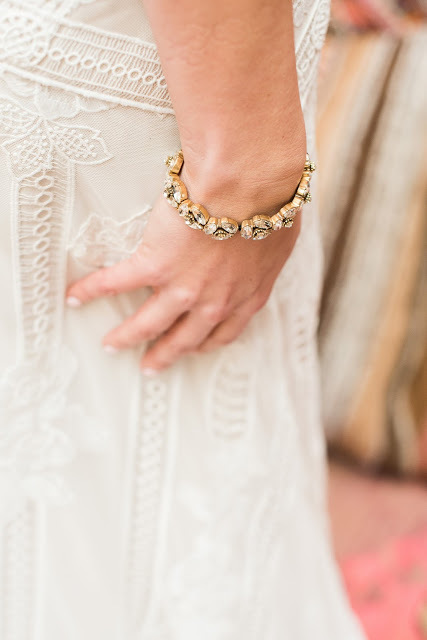 Find vendors with a similar Bohemian style or spirit. 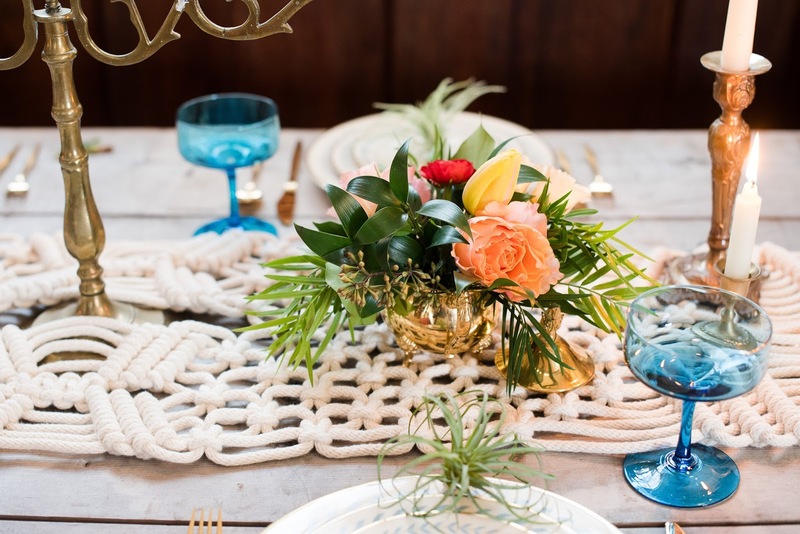 Rather than providing specific direction, explain your vision and watch these vendors work their magic. 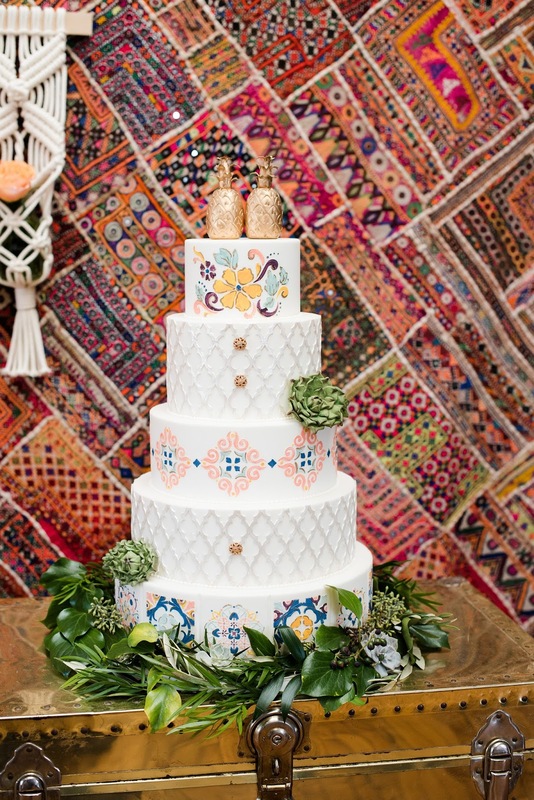 Elysia Root Cakes, VEIL Event Design, and Allie Hasson executed these details beautifully and cohesively. 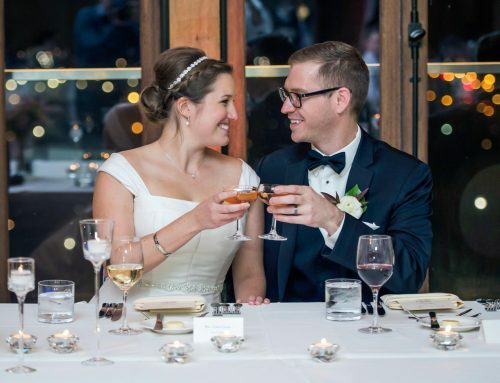 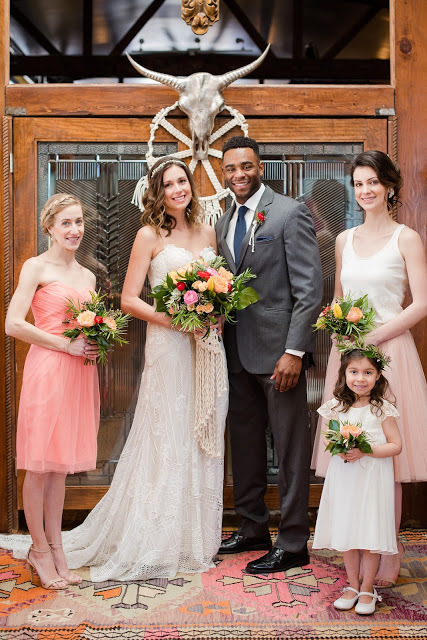 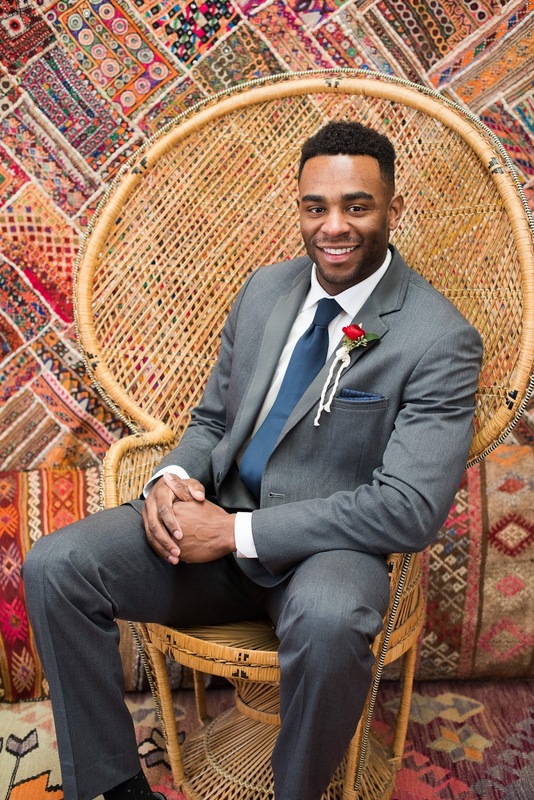 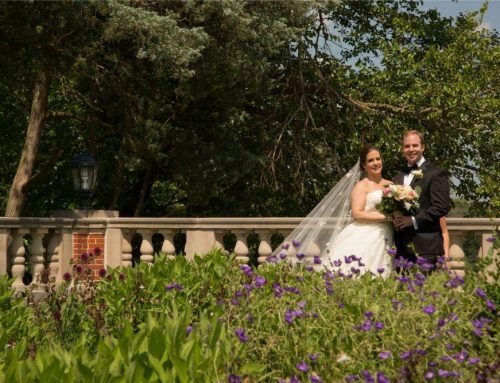 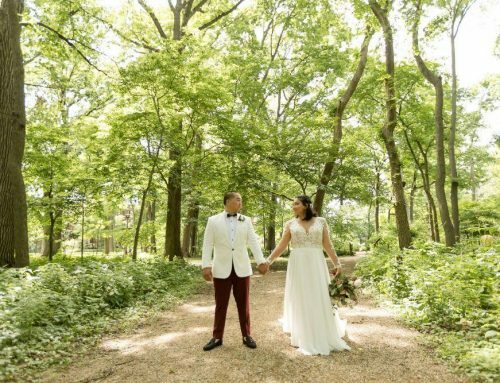 For more amazing style inspiration, visit chicagostyleweddings.com!